A man accused of crushing to death a toddler with his car seat is to face a retrial, prosecutors have confirmed. 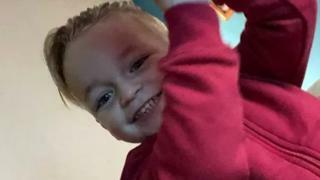 Stephen Waterson, 25, is alleged to have fatally crushed three-year-old Alfie Lamb in the footwell of his Audi in February 2018. He and his girlfriend Adrian Hoare, who was also Alfie's mother, of Adams Way, Croydon, were tried for manslaughter. Hoare was cleared of manslaughter, but found guilty of child cruelty and no verdict was reached for Mr Waterson. Alfie's mother is due to be sentenced at the Old Bailey on 4 March for child cruelty and perverting the course of justice.